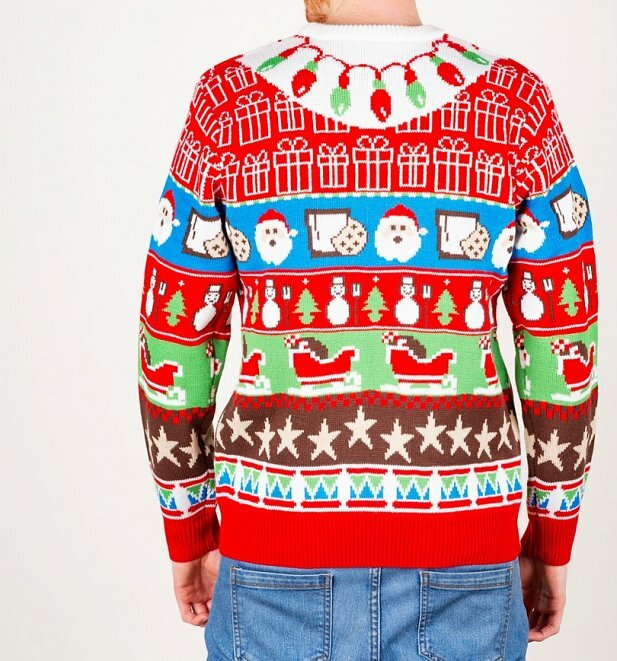 As all the best Christmas jumpers should be, this festive knit is packed full of festive cheer. You've got everything here: trees, Santa's, lights, pressies. 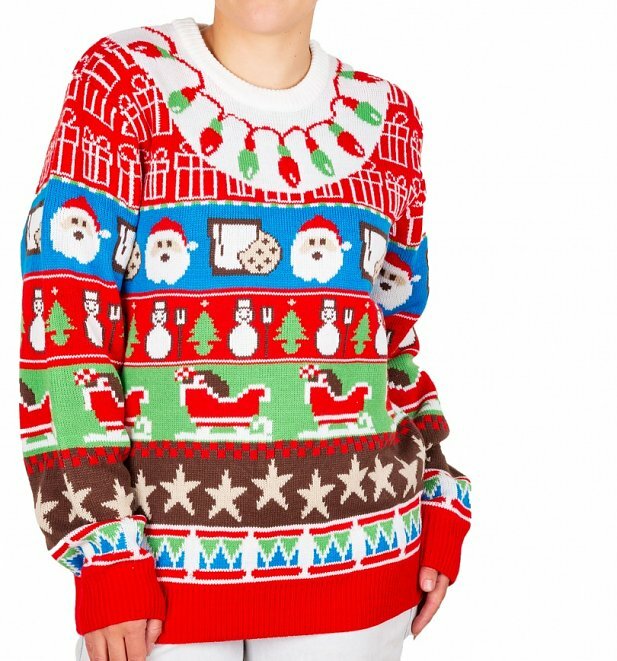 This is C.H.R.I.S.T.M.A.S in a jumper. 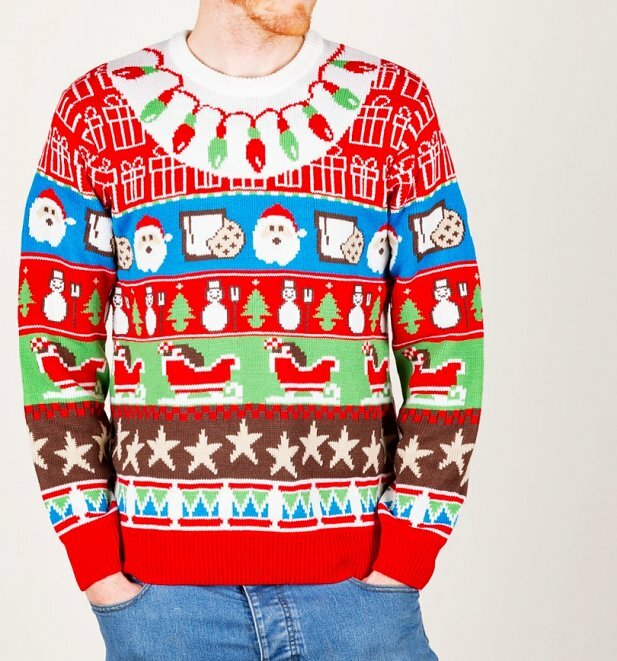 Take your tacky Christmas knitwear to the next level and treat yourself to this fully knitted fair-isle design - your inner elf will thank you. - Designed to last you for years to come!